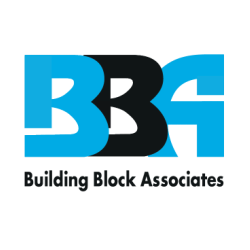 Building Block Associates is based on the principles of truthfulness, mindfulness and playfulness. We are a Toronto based food supplier offering a wide selection of locally grown & organic supplies including fruits, vegetables, meats, breads, exclusive and supply partner brands. We also specialize in food cost and marketing solutions for our foodservice customers. We are a great place to start or grow your career as we promote from within and train you for excellence. We are continuing to grow so to meet our current goals of rapid expansion with the GTA market we’re looking to hire two hard working B2B lead generators with restaurant and B2B or B2C experience. Compensation is competitive and we offer great commissions, and we make sure to include performance bonuses, prizes and celebration dinners are on us. The Lead Generation Specialist is responsible for prospecting, qualifying and generating new sales leads to support the Sales Account Managers. This individual will be a highly motivated, self-starter able to identify and develop new business prospects from multiple sources including inbound marketing leads, prospect lists, discovery and individual research. A dynamic personality with a drive to reach decision makers is essential! Develop new business via telephone and mass communication such as email and social media to introduce the Manage Mie solution and identify appropriate buyers within the target market. Conduct a needs analysis and determine prospects pain points to determine how Building Block Associates; Manage Mie Foodservice Manager solution will speak to those needs. Work with the VP of Sales to develop and grow the sales pipeline to consistently meet quarterly revenue goals.